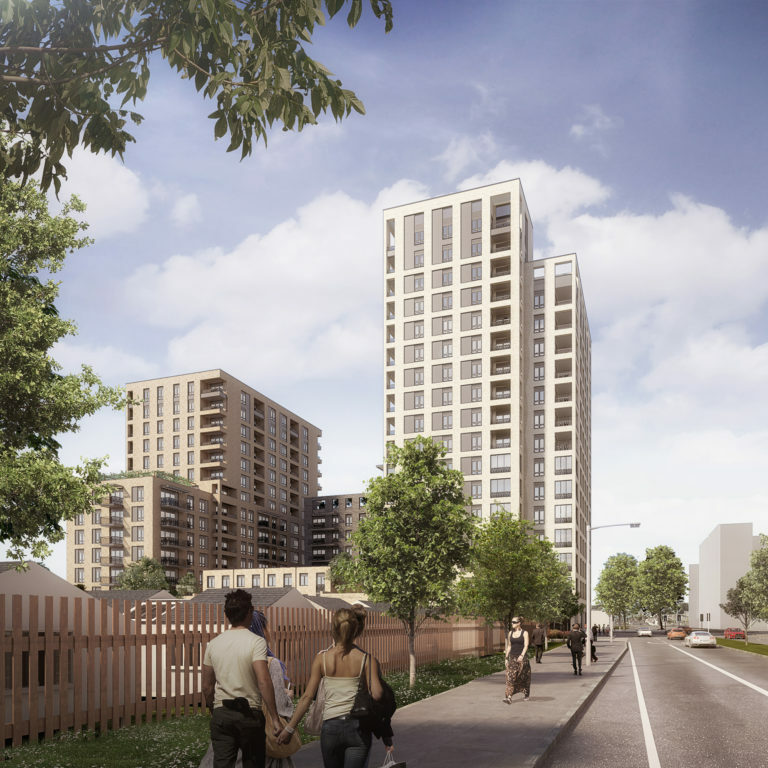 Eynsham Drive will bring 272 much-needed homes to Abbey Wood, an area currently undergoing considerable redevelopment due to its position on the Crossrail line and the pipeline of investment into the wider area of Thamesmead. 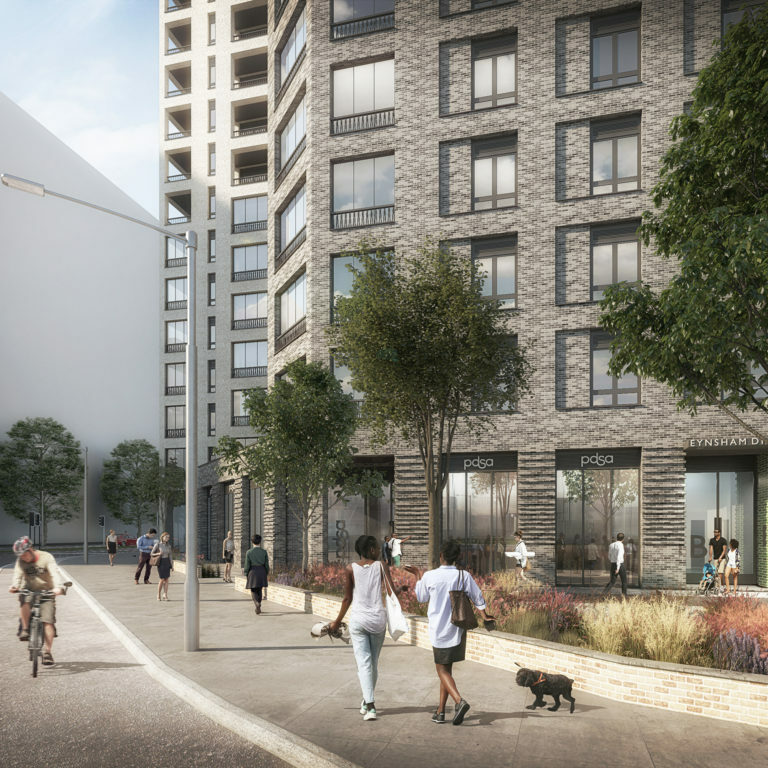 The design also includes a tall building at the roundabout as a distinct marker, and facilitates the improvement of the public realm and streetscape, including allowing for the widening of Eynsham Drive and Harrow Manorway. 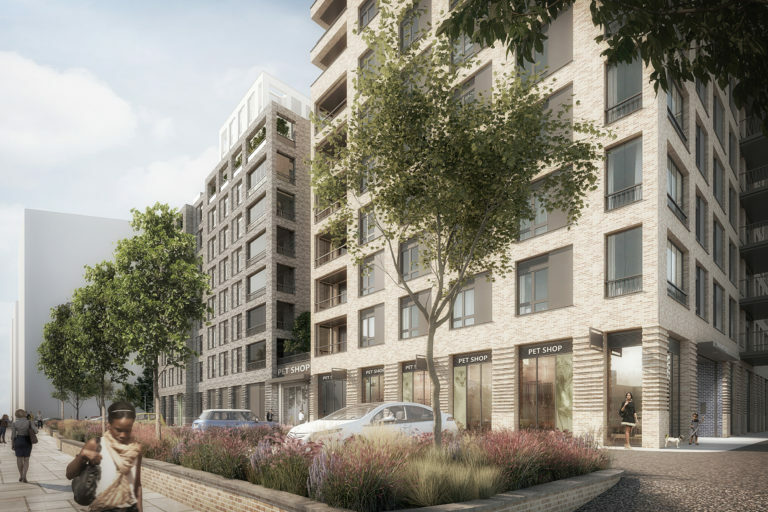 The new homes are predominantly dual-aspect, enhancing residents’ outlook and maximising natural light, and are complemented by active green roofs and south-facing landscaped amenity spaces at podium level, protected from the road below.